all your mobile app users with great ease! Push notifications have become the latest emerging powerful communicate tool that connects clients and customers. At Innate Apps, we give you the chance to stay connected and updated with all users of your mobile apps so they can have the best experience and choose your apps over and over again. For owners of mobile apps, it is important to look for ways that will help you establish loyalty and good relationship with your app users. The use of push notification services is the latest communication route that helps developers to get the best results. 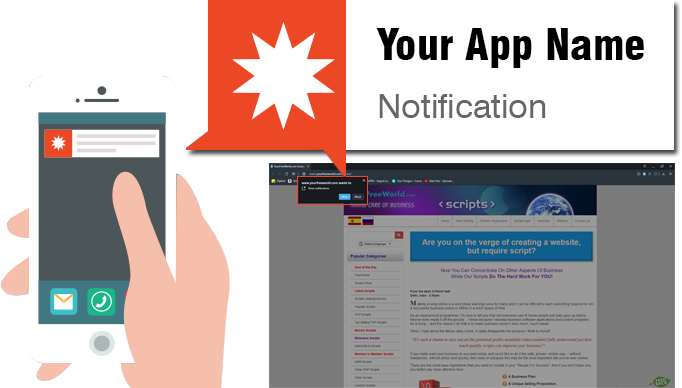 Retention of app users should always be your main goal and here at Innate Apps, we make it possible by ensuring that all our apps come with push notification services that will instantly alert your app users with any updates so that they can have a better experience. If you want the best of the best apps that will work to your advantage, Innate Apps is the number one name that you can trust that will give you the best results you deserve!